Zenith!extract is an excerpt from a longer piece bearing the same name. It is the fifth partnership between Guy Nader and Maria Campos. The show is a physical exercise in sound and vision, which explores space as if it was a score of sound and movement, bridging the visual and what is perceived. Zenith looks at the value and the meaning of time in our modern society. Guy Nader, a Lebanese artist living in Barcelona, has worked with a large number of companies, including Maqamat Dance Theatre and La Intrusa. Inspired by different disciplines and the martial arts, he develops a distinctive choreographic language. His awards include first prize at the 2010 International Masdanza Festival. Since studying in Austria and Amsterdam, Maria Campos has worked with companies like Meekers in The Netherlands, Protein Dance and Tom Dale in the UK, and Àngels Margarit and Sol Picó’s Catalan companies, among others. She recently premiered the solo Tarannà. Guy Nader and Mickael Marso Riviére explore risk and maximum physicality to create an axis of survival onstage. 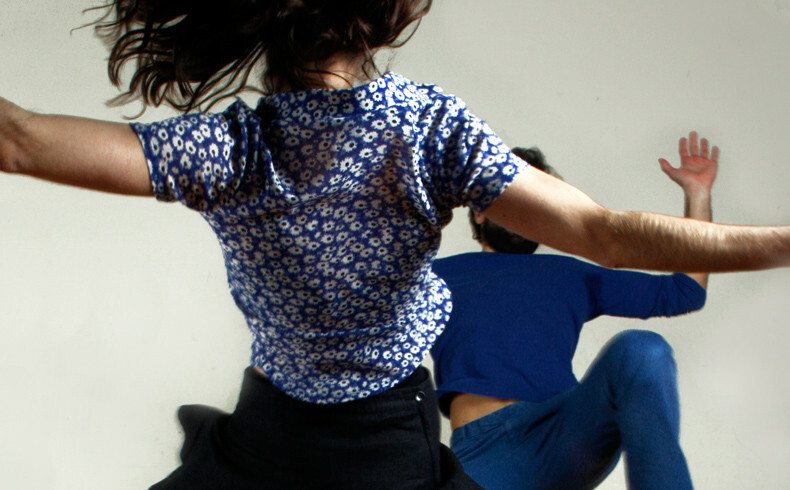 A mixture of styles ranging from bboying to contemporary dance dominate this energetic, refreshing proposal. The work, presented under development at the Sâlmon Festival, will be premiered in the UK at the International Dance Festival Birmingham, DanceXchange 2014. Mickael Marso Riviére is the founder of the Decalage company and Bboy’s Attic and is also a DanceXchange associate artist. He has lived in the UK since 1999. His productions are rooted in his primary passion for breakin along with many other disciplines such as contemporary dance, capoeira and the circus. Over the last twelve years, Marso has worked with organisations such as Breakin’ Convention , Dance4, The Circus Space and NMEC, The Place, Project Soul Corea, Micha Bergese, The Bolshoi, Sadlers Wells and so on.